This award is given to a distinguished scholar in the field of social networks for significant contributions to the scientific study of social structure. The winner of this award is selected by a committee, hereinafter referred to as the Committee, designated by the INSNA Board president (or his/her representative). Suggested recipients are nominated by members of the Committee and by any interested members of the social network community at large. The Committee considers the nominated candidates' contributions and qualifications through a series of electronic discussions. The award winner is chosen by the Committee using a "preferential ballot" procedure as suggested by Doug Carroll and Joseph Kruskal. The award is chosen every other year, starting in the year 2002, and announced that year at the annual Sunbelt conference. The award winner will be presented the award the following year at the Sunbelt conference. In addition, the award recipient will give a 1 hour plenary lecture at the Sunbelt which reviews the work for which the award was given and/or an overview of an area of social network analysis. Expenses for the conference will be part of the award. Zachary Neal, a 2009 Ph.D. in Sociology from the University of Illinois Chicago, has been prolific and creative. He has written three books and 40 peer-reviewed articles, developing novel methods for analyzing two-mode network data, revealing significant observer and target predictors of accuracy in the perception of social network ties, and advancing the analysis of airport traffic networks. Zachary is perhaps best known for his work on city networks. In his lauded book "The Connected City" Zachary, in the words of Albert-Laszlo Barabasi, "uses the language of network science to unravel the mechanisms that govern a city's daily evolution and patterns of daily life" and according to Barry Wellman this book "takes away from old­-fashioned views of cities to show how they thrive through their networks ­between residents, businesses, and even between cities." He is currently an Assistant Professor at Michigan State University, with a joint appointment in the Psychology Department (Ecological–Community Program) and the Global Urban Studies Program. He also co-directs the Michigan School Program Information (MiSPI) project. Delia Baldassarri received dual Ph.Ds in Sociology from the University of Trento (2006) and Columbia University (2007). She has been a fellow at Nuffield College at the Oxford University, a visiting scholar at Russell Sage Foundation, and a visitor at Bocconi University in Milan. In 2007, Baldassarri became Assistant Professor at Princeton University, from which she received tenure in 2012; since then she has moved to New York University, where she holds the title of Associate Professor of Sociology (with additional appointments in the Department of Politics and the Stern School of Business). She is currently the author of one book, 13 peer-reviewed articles, and several chapters and reviews; her work has appeared in highly visible outlets across multiple disciplines, including the American Journal of Sociology, the American Sociological Review, the American Journal of Political Science, and the Proceedings of the National Academy of Sciences. The significance of her work has been recognized by diverse array of groups, including the Italian Political Science Association, the American Society of Association Executives Foundation, the ASA Section on Collective Behavior and Social Movements, and the ASA Section on Mathematical Sociology (all of whom have honored her with publication awards). Baldassarri's core contributions lie in advancing our understanding of how social networks structure political decision making, via a combination of formal modeling, field experiments, and survey-based research. Much of her work has dealt with the problem of attitude heterogeneity and polarization, and has served to shed light on the question of how influence processes can drive polarization on certain attitudinal dimensions even as it leaves high levels of heterogeneity on others. Baldassarri's experimental work in rural Uganda has provided intriguing evidence for the relationship of social position and group attachment with pro-social behavior, and for the role of centralization and legitimation on the effectiveness of sanctioning. Baldassarri has also studied phenomena such as integration within networks of civic associations, partisan polarization in voluntary group membership, and the networks of theme co-presence in media coverage of social movements. Throughout, Baldassarri's work shows a strong combination of empirical creativity and structural intuition, applied to important questions within the social sciences. David Schaefer received his PhD from the University of Arizona in 2006 and is currently (2013) an Associate Professor at Arizona State University in the School of Social and Family Dynamics. David has an impressive diversity of work and has published in several different areas. His papers exhibit originality in the questions addressed and their elaboration, and show excellence in executing and reporting the research. He has obtained several important grants. His research has two main strands, social exchange and influence in networks. He is interested in the role of social networks in the diffusion of information, norms, and influence, with outcomes related to delinquency, health, social capital, and inequality. He focuses on network dynamics and the forces that drive network evolution. His latest research considers how forms of exchange and the types of resources available to people impact the development of inequality, trust, and solidarity. Arnout van de Rijt received his PhD from Cornell University in 2007 and is currently (2011) an Assistant Professor at SUNY Stony Brook. He has put together an outstanding record of publication in a very short time. He has made significant contributions to our understanding of the micro-macro linkages that are so important for network research across many substantive areas. Characteristic of his work is a talent for teasing new derivations out of classic social theories. The problems he picks to work on are important and the contributions he makes foundational. Carter Butts received his PhD at Carnegie Mellon in 2002 and is currently an Associate Professor at The Institute for Mathematical Behavioral Sciences at the University of California, Irvine. His accomplishments include the Herbert A Simon Dissertation Award for "Spatial Models of Large-Scale Interpersonal Networks" and 37 publications. "My research involves the application of formal (i.e., mathematical and computational) techniques to theoretical and methodological problems within the areas of social network analysis, mathematical sociology and methodological problems within the areas of social network analysis, mathematical sociology, quantitative methodology, and human judgment and decision making." Garry Robins's PhD was completed at the University of Melbourne in 1998, winning the 1999 Psychometric Society Dissertation Prize and the 2000 Distinguished Dissertation Award of the American Psychological Society (Division 5: Evaluation, Measurement and Statistics). In this work, Garry developed his interest in exponential random graph models, and he outlined a general framework for constructing models for social influence, social selection, exponential random graph models in discrete time and models for valued networks. Since completing his PhD, he has elaborated these possibilities further and developed increasingly more effective models within the general framework. He has also worked at both theoretical and empirical levels on the interface between social networks, the self, personality and mental health. His 24 peer-reviewed publications to date have included papers in the American Journal of Sociology, Psychometrika, Sociological Methodology, Social Networks, Journal of Mathematical Sociology and Personality and Social Psychology Review. Garry is currently an Associate Professor in the Department of Psychology at the University of Melbourne. "... He does innovative, high quality, rigorous social network research that is substantively meaningful. He publishes his work in the best journals and has done a lot in a relatively short period of time." "... Jim is clearly an innovator in both social network methods and theory. He's developed new analysis techniques, he's been instrumental in the analysis & creation of new network datasets (Add Health, his email network data project), and he regularly contributes to the SNA community by offering his expert assistance to newcomers and veterans alike." Devon D. Brewer received his PhD from University of California Irvine in 1994 and, quite fittingly, Lin Freeman was one of his co-chairs (the other was Kim Romney). Since his PhD, he has worked in academia (University of Washington in several capacities) and in the public sector (Public Health - Seattle, King County). In 2002 he started his own firm Interdisciplinary Scientific Research based in Seattle, Washington. 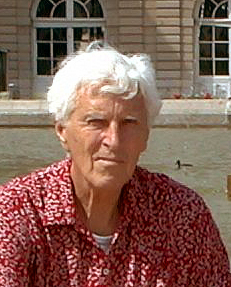 His focus on network methodology, particularly the data collection side, has benefitted the research community greatly. He has published relevant and important articles in Social Networks and in Journal of Quantitative Anthropology. At the same time, he has worked with others in the public health arena with a focus on drug use and substance abuse issues.